In the code list mapping the RegionCode allows to specify a local context in the mapping rule section. The context for the region code is the country. The region code comes with a wild card – the context for the country is ‘ * ‘. In case you need to specify an individual code list mapping for a specific country. You can add an additional mapping rule “Map individual Codes” and specify the target country in the field local context. For that mapping rule (specified with the country as context) mappings for all regions need to be specified. 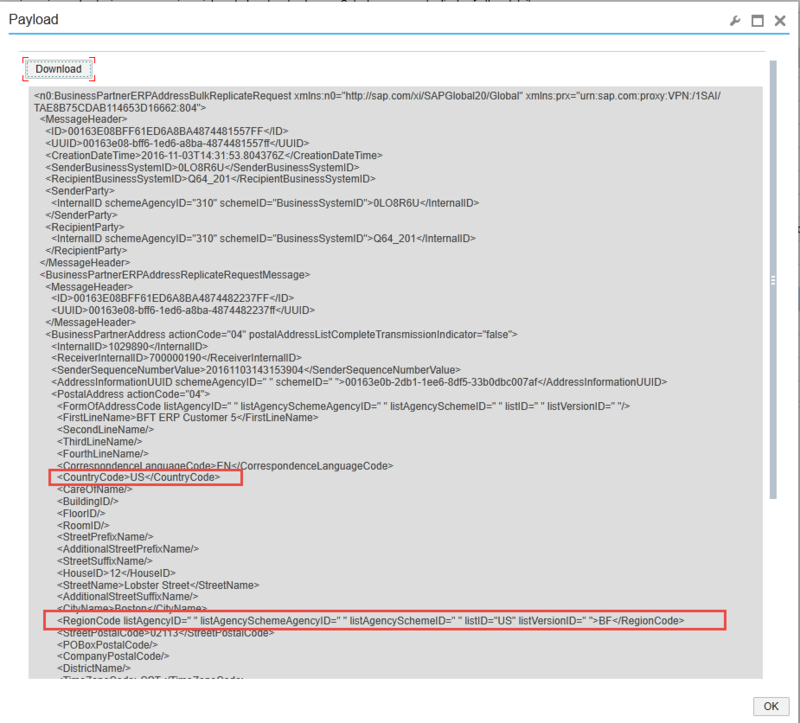 A missing mapping for a region code used in the payload leads to a mapping error exception – the request is not being processed. Individual regional mapping only needs to be maintained for the specified countries. Hence all other countries w/o any individual mapping rule, the local and remote codes are equally mapped. Code List Mapping for Region Code. In addition to the wildcard entry to rules with the country context for Germany and US are maintained. For US only one mapping entry for New York exists. If any further states are used in the payload, a mapping error will be thrown. 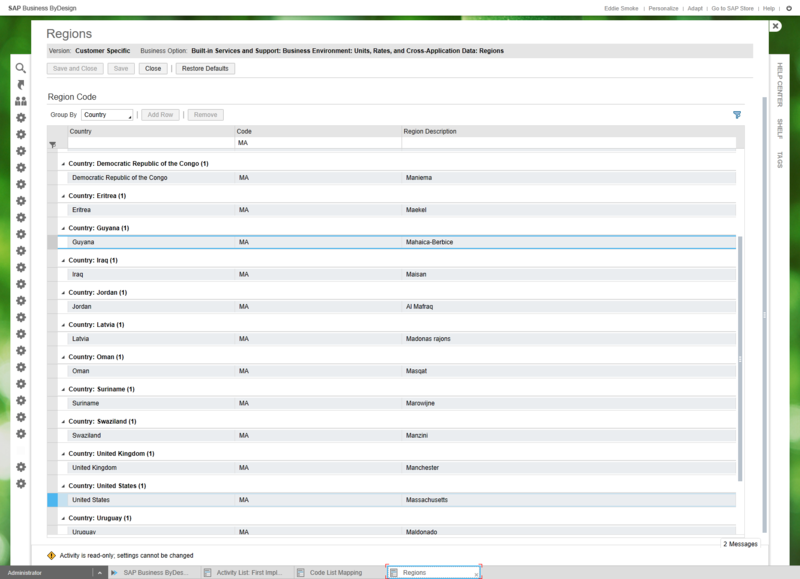 The screenshot shows the Web Service Message Monitor of the Administrator Menu. One request could not further be processed due to a mapping error. Reason for the error was a missing regional mapping for the Region Code 02. 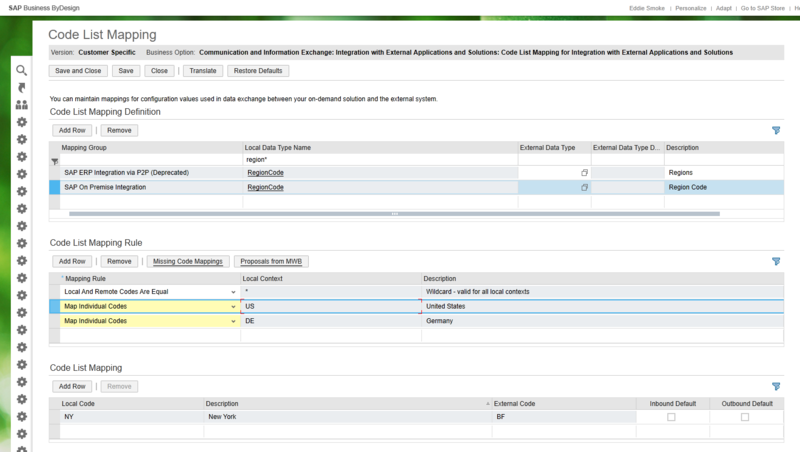 The screenshot shows the details of the payload of a Business Partner Address Outbound Request from C4C to ERP. The Region Code BF is used for the country US. The region code results from the mapping table where the external code BF is maintained for the local code NY. Thanks for that helpful explanation!